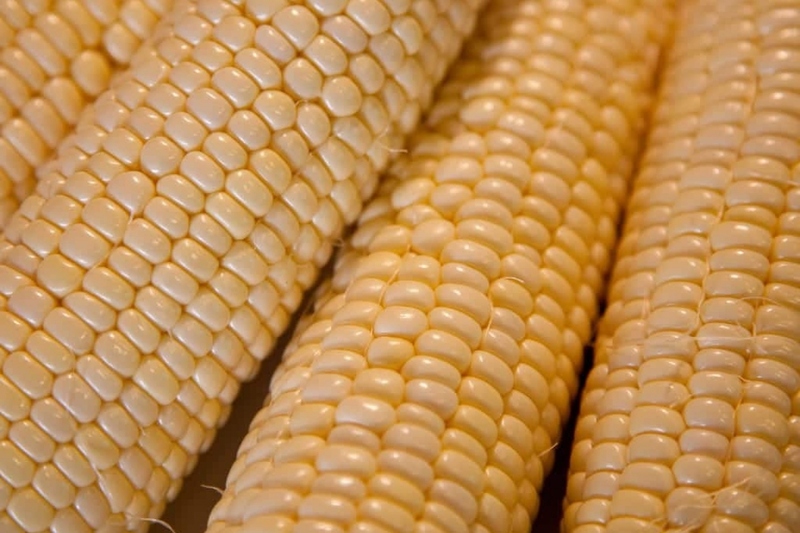 Sweet Corn (Zea mays): growing, planting, caring. Growing your own corn is easy. Ready for homemade-homegrown pop-corn? Full description for Zea mays not yet available. What a good idea to grow your own corn! Sweet corn is an annual monocotyledon with a single stem, rigid, up to 2 meters, surrounded by large, alternate, slender leaves up to several tens of centimeters. Outside: Sow in loose soil, fertile, cool, in full sun, when the temperature exceeds 10 ° C. in open soil, add a base fertilizer during sowing. Bury the corn kernels about 5 cm, and sow every 3 cm on the row, spacing the rows widely. Inside: To save some time, you can sow in a bucket, putting 3 seeds in each pot, in a mixture of soil and compost. When the seedlings have emerged, thin them so that only one plant is kept every 10-15cm. Transplant in soft soil, fertile, cool, in full sun, when the temperature exceeds 10 ° C and your plants are well developed. In the open soil, add a some fertilizer when planting. Space the rows of 80 cm, and plant every 15 cm. During the growth, watch out: corn is quite demanding in water! Depending on the quality of your mulching, you may need to water up to twice a week during the hot season, and of course, during the emergence period. After planting or transplanting, mulch, because corn is very demanding in water, and doesn't enjoys competition. If mulching is not enough to limit competition, weed with a hoe occasionally. Harvest when silks at the top of the ear are brown. Pull up the plants after harvesting, and use the remains as compost. If you're not planning on using the parcel before the winter, just cut out the stems and leave the roots in the ground.